Inspired by Parisian fashion, designer Charlotte Beecham founded Charlotte Simone in 2011. 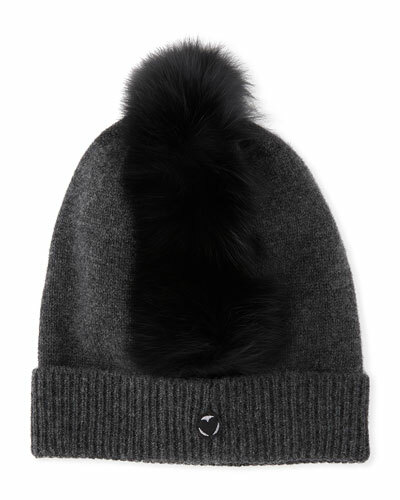 Charlotte Simone fur products take center stage instead of merely complementing an outfit. 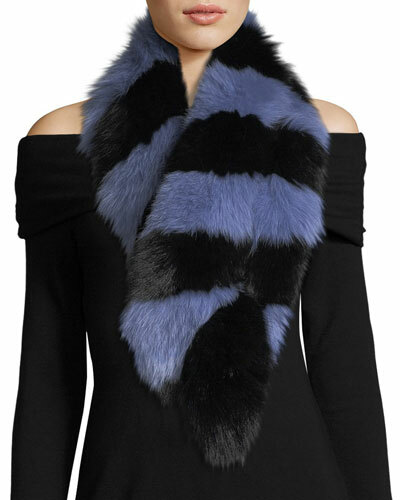 The designer’s signature winter accessory, the popsicle scarf, has become a favorite among fashionistas and celebrities alike. 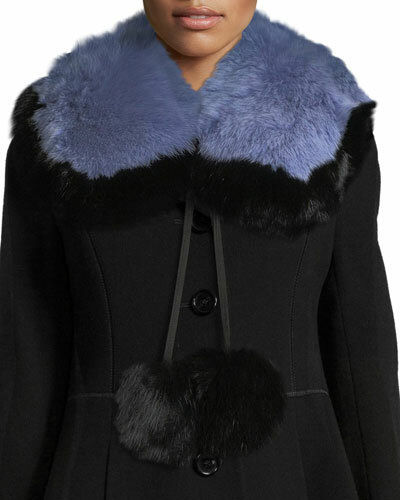 The Charlotte Simone collection displays a penchant for vibrant and luxurious styles. 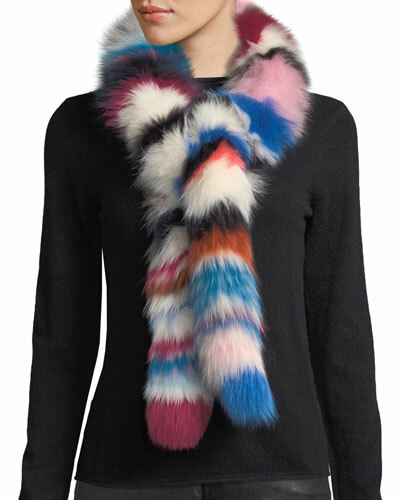 Charlotte Simone accessories, including rainbow-twist fox fur scarves and kaleidoscope fur cuff scarves, focus on reinventing the scarf by infusing new textures and shapes. 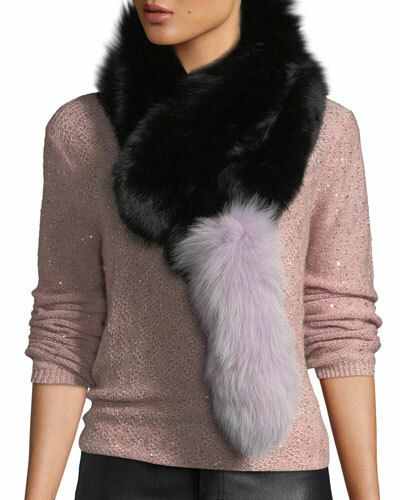 Shop from the new and exclusive selection of Charlotte Simone Popsicle scarves, sass caps, and much more at Neiman Marcus.